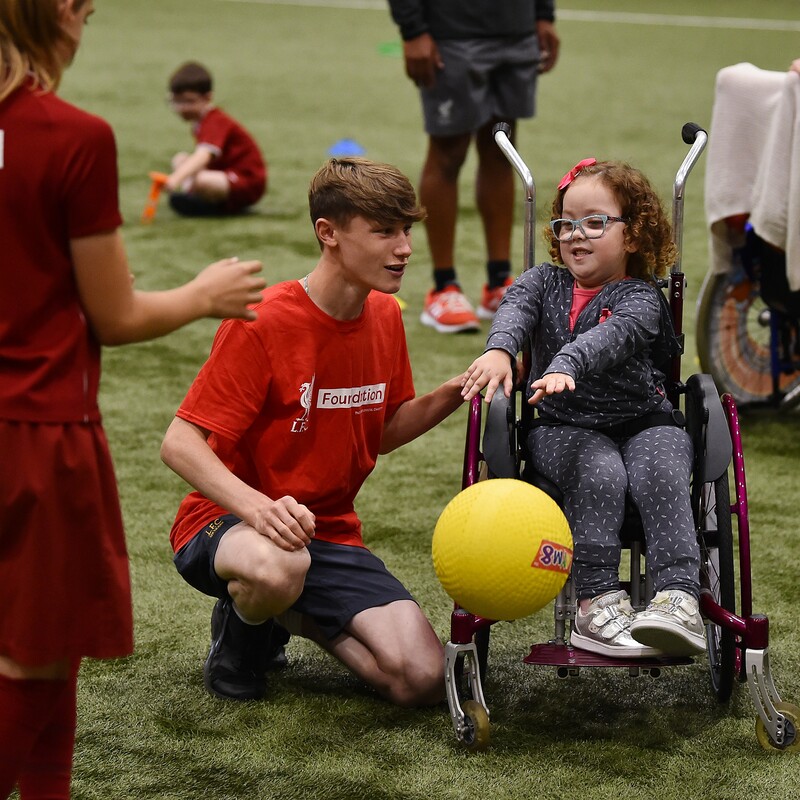 Respect 4 All is the LFC Foundation’s Disability & Inclusion project that provides free weekly sports, football and physical activity sessions for children and young people with complex and additional needs across the Liverpool City Region. What is Respect 4 All? Funded by the Premier League and BT Disability Fund, Respect 4 All was launched back in 2009 and engages over 400 participants annually. 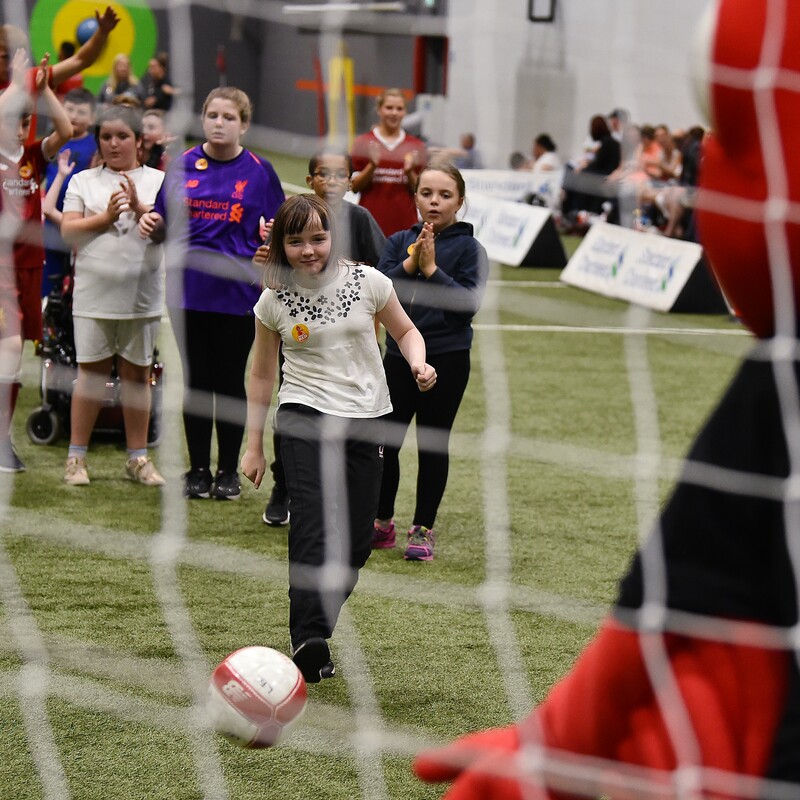 We cooperate with local and national organisations in developing sport and physical activity opportunities for young people with complex needs. Our aim is to remove potential barriers that can exist regarding accessibility to sport for disabled people and improve the inclusion between people with and without disabilities. Our sessions are fun, relaxed and offer a great opportunity for both participants and parent come together, make new friends, learn new skills and share experiences. Respect 4 All provides coaching and multi sports sessions for people with a range of needs including but not restricted to; Learning Difficulties, Deaf and Physical Impairments, Visual Impairments, Autism and Wheelchair Users. Our sessions are fun, relaxed and offer a great opportunity for families to come together, make new friends, learn new skills and share experiences. 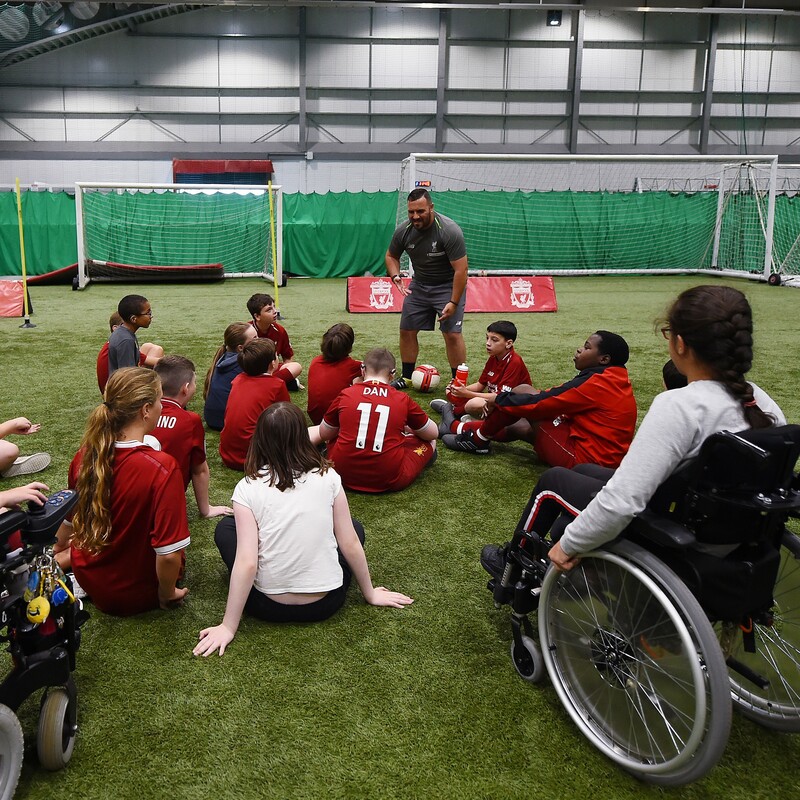 Read on to find an insight into the participation aspect of our delivery model and how we adapt each session to suit additional needs. Our SLD sessions are adapted from mainstream sports activities to suit needs on a personalised basis. We always permit a high coach to player ratio and actively pursue new and improved ways of making sessions accessible to all learning difficulties. Neurological conditions or injuries can affect the way a person thinks, reasons, makes decisions and solves problems. It can also have an impact on attention and memory. Our PAN football provision includes weekly training with competitive elements against other PAN Clubs, including provision for high functional participants. Our sessions are structured to support the abilities of the players involved. This includes a consistent pattern of warm up, train, break, small-sided games and finish with penalty kicks. Our VI.sessions permit the use of adapted equipment, built specifically to suit the needs of people partially sighted and blind people. This includes extra sessions for participants with VI impairments, but also additional needs. The term ‘ambulant disabled’ refers to people with a wide range of disabilities who are not regular wheelchair users. This could include, for example, people who have Diabetes, Epilepsy, Multiple Sclerosis or more. Our Wheelchair-user sessions have adapted rules, pitch sizes and are played indoors with bigger footballs. We cater for both manual and power chair use. Our FA Qualified coaching team run 14 Respect 4 All sessions throughout the week including Saturdays. Sessions are FREE and require no prior sign up - just turn up & play! You can download a PDF version of our timetable here. 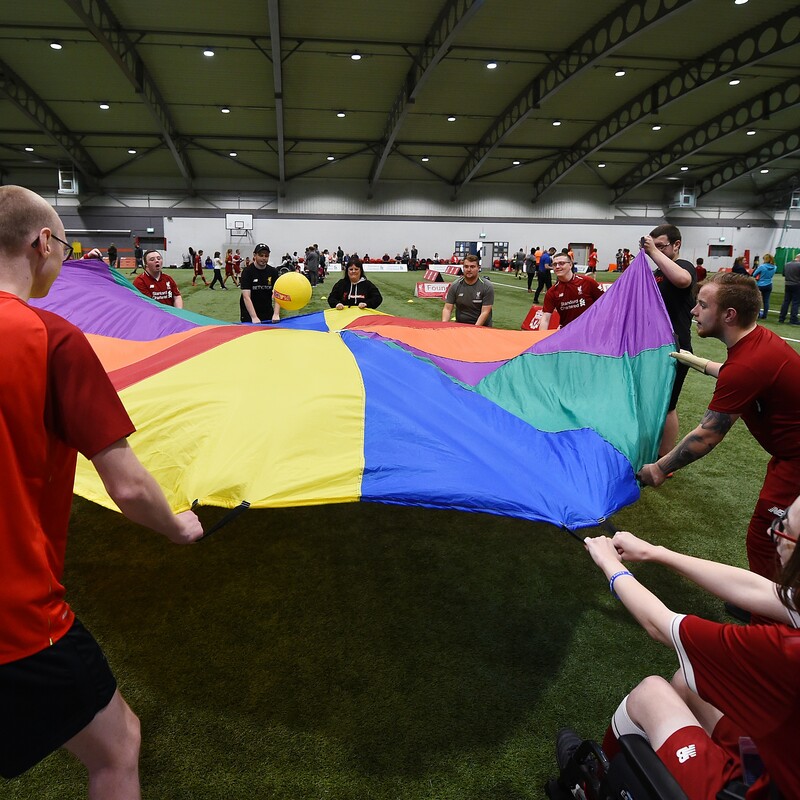 The LFC Foundation is committed to providing inclusivity to all members of our community and coaching with warmth, professionalism, and expertise.